Rubber Toughened Series is designed for use in higher temperature and higher humidity environments. These rubber toughened high viscosity products can be used where flexibility and vibration resistance is needed. They are suitable for difficult to bond materials, such as thermal plastic and possess faster fixturing than epoxy resin, therefore it is easier for construction work. 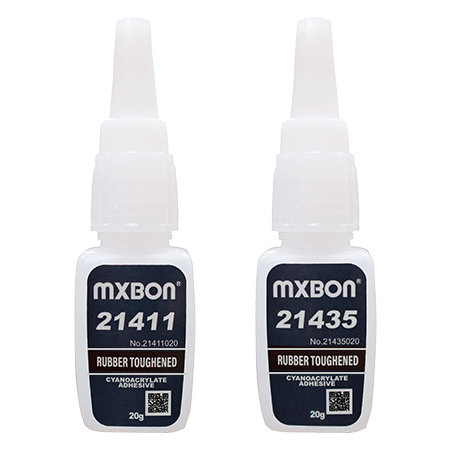 Grade C681 and C685 are clear, rubber toughened cyanoacrylate adhesive. Grade B680 abd B684 are black, rubber toughened cyanoacrylate adhesive.